Bet365 is an online casino which needs very little introduction and as players we’ve always been impressed by the vast range of games and services offered across various it’s platform including slots, table games, an enormous sportsbook and access to financial markets. This review reflects our personal experience and is for reference only. At first glance Bet365 has the appearance of a Playtech casino and indeed there’s a full complement of Playtech games and online slots available; however you will also find many others on offer – Microgaming, Finsoft, NeoGames, Betsoft, IGT, Electracade, Dynamite Idea, NextGen Gaming, Blueprint Gaming, Amaya and The Games Company. Net Entertainment games are available under the ‘Vegas’ tab at the top of the screen. Slots aside there is of course a very comprehensive sportsbook including in-play betting (that’s where Bet365 started), spread betting on the financial markets and Binary Options, a separate poker section and bingo. 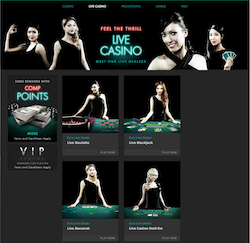 Plenty of table games are also available and there’s also a live casino for those who prefer the personal touch. Bet365 have a simple but generous offer for new players at this casino and it’s deposit match offer.. This means that the amount you deposit according the terms of the offer will be matched in bonus funds up to the maximum specified. A VIP scheme is in place to reward loyal players with bronze, silver and gold levels available. 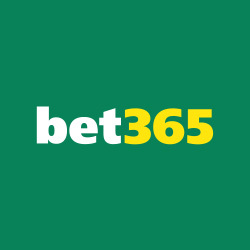 Bet365 is a huge website but it’s pretty simple to navigate one’s way around the various options; the basic options are all accessible from the top of the screen but it’s helpful to know that you can reach the slots through the ‘Casino’, ‘Games’ or ‘Vegas’ tabs. There are several mobile sites dedicated to various parts of the operation but Bet365 Casino is the one to look for at the app stores if mobile slots are what you want. 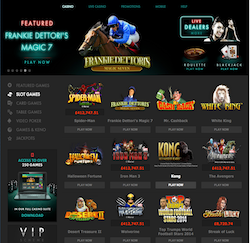 The casino is available to play instantly online or it can be downloaded to your desktop computer if you use Windows. Customer support has also been very good at Bet365 and all help facilities are easily located using the ‘Help’ tab. Methods include freephone telephone numbers, post, email, instant chat and web messaging and all are available 24/7. Bet365 uses random number generators to ensure a completely fair and transparent gaming experience and these ‘RNGs’ are regularly checked by third parties to ensure compliance with international regulations. This casino is also a member of ESSA (European Sports Security Association) which monitors odd betting patterns and it participates in IBAS (Independent Betting Adjudication Service). Bet365’s registered office is in Gibraltar and it’s regulated by the British Gambling Commission. There’s a wagering requirement for any bonus funds claimed and you can read more about this in the appropriate section in the Ts and Cs. It’s also important to check the Ts & Cs because not all slot machines count towards the wagering requirements and some machines won’t accept bonus funds.